Again, Skanska/Traylor/Shea have retained PB&A to design the rest of the three stations for the Metro Westside Extension Project. We appreciate the confidence that they have placed in us to get the job done! On that note I’d like to share a few words from AECOM, our client on the I-805 Carroll Canyon Extension Project, Direct Access Road:“Here are some comments for you regarding PB&A’s work with us on the I-805 North Design Build project. 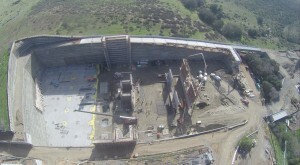 PB&A’s design for the soil nail and ground anchor retaining walls for the Carroll Canyon Direct Access Ramp was very innovative, especially when compared to the retaining walls TY Lin designed for Caltrans for a similar Direct Access Ramp just to the north of our project. I’m sure their innovative design and associated cost savings had a big part in our successful bid for the project. 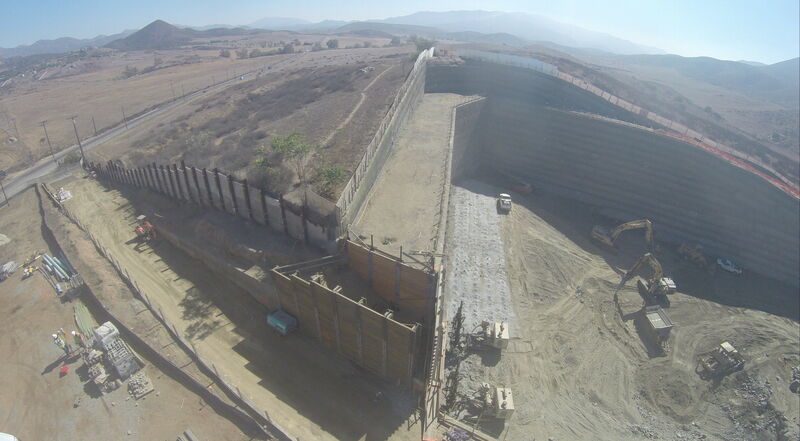 So, PB&A designed an innovative wall that saved millions of dollars, and is expected to perform much better than a traditionally designed soil nail / ground anchor wall. They certainly understand retaining walls, and temporary shoring, better than anyone that I have worked with in my 35 years as a civil engineer! Their original design included an integral concrete barrier on top of the wall that saved approx $1,000,000 dollars and reduced the space needed to construct the wall. They provided supplemental calculations to show that this design was feasible. 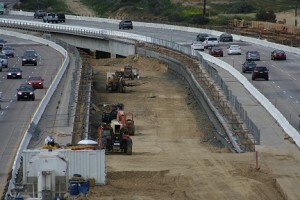 When Caltrans did not approve this concrete barrier concept, PB&A provided documentation showing that Caltrans had previously approved this concept on another project in San Diego which helped Skanska successfully obtain additional compensation for this project change in a dispute settled by the DRB. If you have a technically tough project that needs to be completed cost efficiently, then I would recommend PB&A to you! 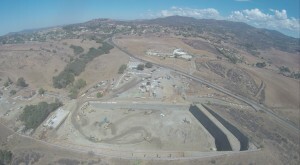 I have enjoyed our work together on the I-805 project and hope to work again with them again soon. Sarah Outzen, our Project Engineer Extraordinaire sat for her PE exam! Wishing her the best of luck! 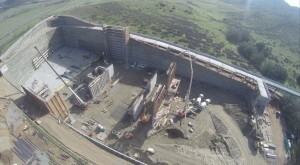 January 28, 2015 Aerial Drone Photos show the unparalleled size of excavation for the new Hollywood Casino in Jamul,California. January 2015, Happy New Year!! 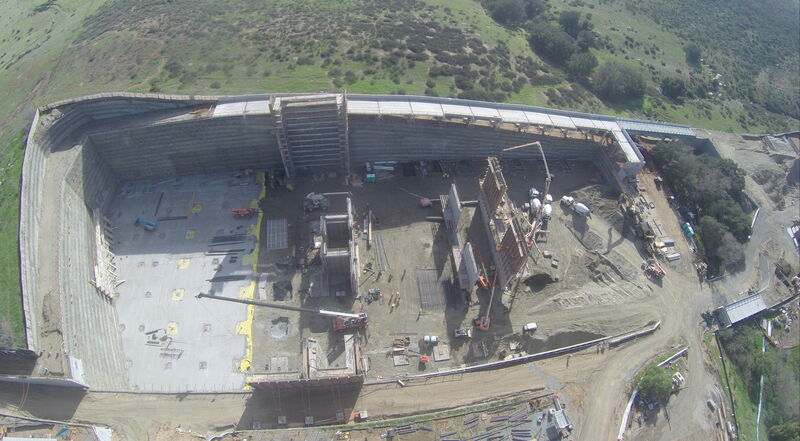 October 2014, I now takes an aerial drone in order to capture the magnitude of the Earth Retention Support System designed by PB&A for the Jamul Hollywood casino. June 2014 – PB&A celebrates their first anniversary in our new office at 818 Fifth Avenue in San Rafael. It has been a great year for PB&A, Inc., adding 3 new staff engineers, wrapping up Transbay Transit Project in San Francisco, breaking ground on the Hollywood Casino in Jamul, California and starting design for shoring of the new Apple Campus 2 in Cupertino, California! PB&A, Inc., along with our client Marnell Companies, the project Architect, and indeed the entire team as well as the Tribe themselves, have faced many obstacles in the path of bringing to fruition the construction of what will be a beautiful new Casino facility. The news segment below addresses only the negative publicity that has surrounded this project for the past 2 decades. It does not take into account the attention that has been given during the design process to the sensitive environmental issues, including many meetings with the California Fish and Wildlife to insure that the native species will be protected along with the groundwater. The design team, including PB&A. Inc. has worked with Caltrans during the preliminary design phase to ensure that the improvements to Highway 94 will mitigate the potential traffic considerations that the new Casino will bring to the area. PB&A, Inc. believes that this project will ultimately enhance, rather than detract, from this beautiful region that lies east of San Diego. Jamul Hollywood Casino breaks ground and excavation support designed by PB&A is well underway.